To interpret lab results your typical doctor will use standard reference ranges that are based on averages from a random sample of people. Your labs are compared to these ranges to evaluate your health status and to guide potential treatment. If reference ranges have such an important role, wouldn’t it make sense to have them reflect optimal health rather than typical health? We’re looking at some recent and large-scale studies today that suggest your cholesterol numbers don’t mean what mainstream medicine might have you believe. Dr. Tommy Wood, MD, PhD is with me to discuss optimal reference ranges for cholesterol and triglycerides, as well as other lab tests that are more reliable for predicting cardiovascular disease and all-cause mortality. Need some help interpreting your blood tests? 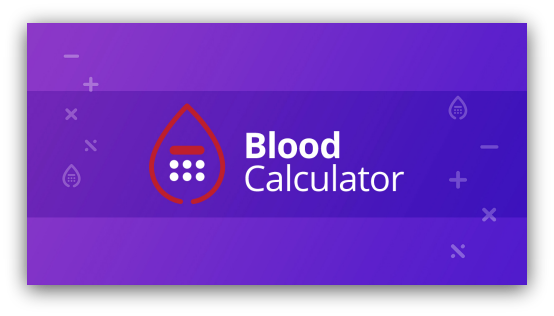 In this interview, we introduce the Blood Chemistry Calculator. [00:03:02] All-cause mortality: Dying from any cause. [00:03:38] Study: Fulks, Michael, Robert L. Stout, and Vera F. Dolan. "Association of cholesterol, LDL, HDL, cholesterol/HDL and triglyceride with all-cause mortality in life insurance applicants." J Insur Med41.4 (2009): 244-253. [00:05:54] Higher is not necessarily better for HDL. [00:07:23] Lower limits for triglycerides. [00:07:50] Study: Iannello, S., et al. "Low fasting serum triglyceride level as a precocious marker of autoimmune disorders." MedGenMed: Medscape general medicine 5.3 (2003): 20-20. Podcast: Risk Assessment in the Genomic Era: Are We Missing the Low-Hanging Fruit? With Dr. Bryan Walsh. [00:11:09] Arbitrary cutoffs are created in order to compare groups statistically. [00:12:25] Study: Zuliani, Giovanni, et al. "Combining LDL-C and HDL-C to predict survival in late life: The InChianti study." PloS one 12.9 (2017): e0185307. [00:13:19] Study: Orozco-Beltran, Domingo, et al. "Lipid profile, cardiovascular disease and mortality in a Mediterranean high-risk population: The ESCARVAL-RISK study." PloS one 12.10 (2017): e0186196. [00:18:44] Optimal reference range for total cholesterol: 120 - 240 mg/dL (under age 60, all-cause mortality). [00:19:55] Optimal range for women 200 - 300 mg/dL (over 60). [00:20:11] Study: Petursson, Halfdan, et al. "Is the use of cholesterol in mortality risk algorithms in clinical guidelines valid? Ten years prospective data from the Norwegian HUNT 2 study." Journal of evaluation in clinical practice 18.1 (2012): 159-168. [00:23:01] LDL is part of the immune system. [00:23:32] Insulin resistance as a cause of high cholesterol. [00:24:23] Thyroid problems as a cause of high LDL. [00:26:19] Ivor Cummins (see first graph on page). [00:27:23] Optimal reference range of LDL for men/women under age 60: 80 - 170 mg/dL. [00:29:44] HDL graphs found within study: Fulks, Michael, Robert L. Stout, and Vera F. Dolan. "Association of cholesterol, LDL, HDL, cholesterol/HDL and triglyceride with all-cause mortality in life insurance applicants." J Insur Med41.4 (2009): 244-253. [00:30:42] Alcohol as a potential cause of high HDL. [00:33:01] Optimal reference range for triglycerides: 50 - 90 mg/dL. [00:35:23] Triglyceride : HDL ratio 1 - 2 is optimal if measuring in mg/dL. [00:37:16] Total cholesterol : HDL ratio of 3 - 4 is optimal. [00:41:20] LDL-P: the total number of particles carrying the LDL cholesterol. [00:41:51] LDL particle size: small dense vs large fluffy. [00:42:33] Peter Attia’s blog and his posts pertaining to cholesterol. [00:43:08] Dave Feldman. His website: cholesterolcode.com. [00:45:37] Endurance exercise: effect on cholesterol and triglycerides. [00:46:23] Facebook groups: Lower Insulin and Optimising Nutrition. [00:46:43] Gudmundur Johannsson, CEO of the Icelandic Health Symposium. [00:46:55] Sepsis, endotoxins: worse outcomes with lower LDL. [00:49:39] Statins: Ever a good idea? [00:51:28] Tommy in a kiosk. [00:53:25] Link to the blood calculator.